Runa Laila Pakistani Classical Music Singer. She is most popular Pakistani Filmi Music, Pakistani Folk Music, Pakistani Ghazals Music and Filmi Music Singer. She is great Artist of Pakistan, she has sung in different languages such as Urdu, Punjabi, Bangali, Sindhi, Hindi and other languages. She is legendary singer of Pakistani Filmi Industry and also she has sung in Bollywood Films. She created legendary name in Pakistan Music and Sindh Music. Runa Laila has also given best performance in TV and stage and she has had her own television series fortnightly in Pakistan called Bazme-Laila. Runa Laila has married with Film Actor Alamgir and she is most popular singer of the world. I have selected below most popular and super hit Folk Music, Filmi Music, and Suer Hit popular songs of Runa Laila. Runa Laila was born on 17 November 1952 in Sylhet, East Bengal, she has got early music training from Ustad Qader. Runa Laila shifted to Karachi, Pakistan and she was most popular singer of Pakistan in the tenure of 1960 to 1970, after that in 1974. She was shifted to Bombay and sung some beautiful songs and she was popular singer of Bollywood Music. 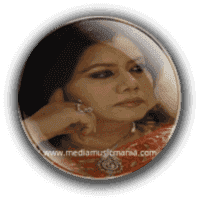 She is master and most popular in Bengali Pop Music, Urdu Classical Music. Runa Laila is famous and she has sung in 17 "Seventeen" languages and she is master in Folk Music.